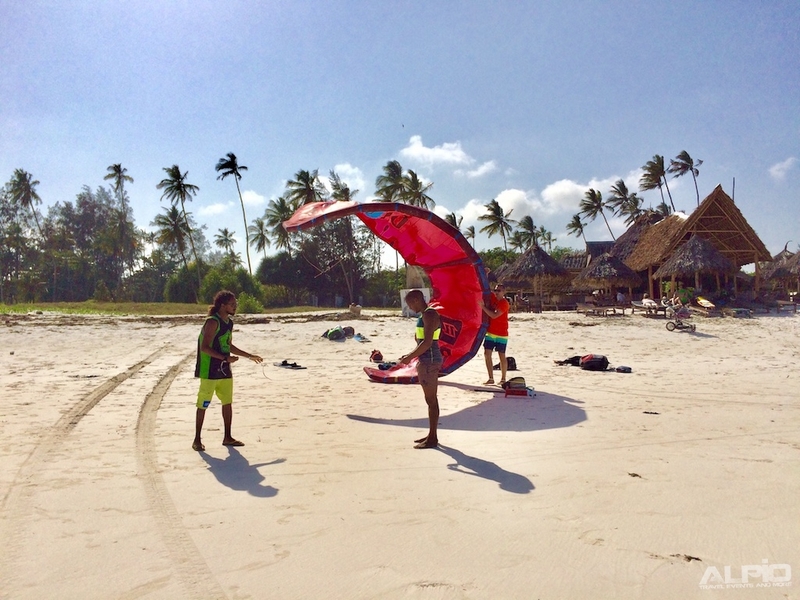 From January 10th until January 31st will be hosting a kite camp to world's best kept secret for kitesurfing; Diani Beach Kenya. 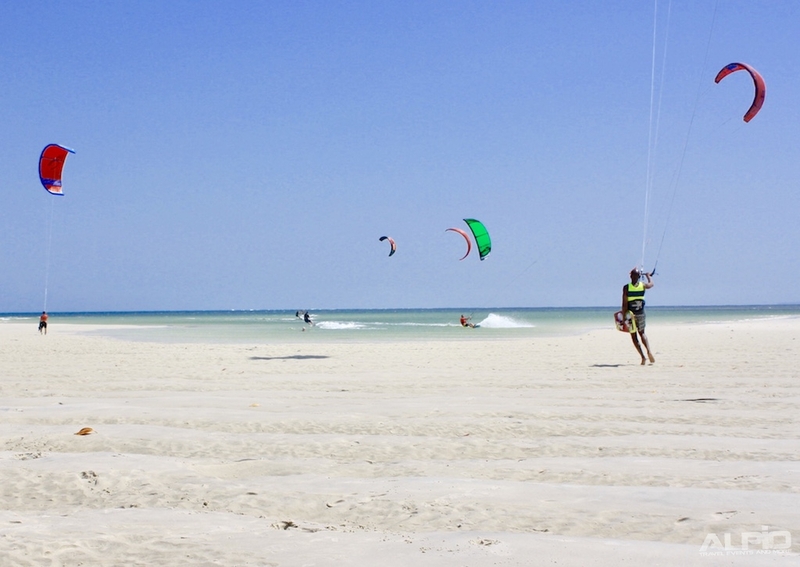 Diani beach is the ideal spot to soak up the sun, do plenty of swimming and watersports, and is notorious for its kitesurfing spot. 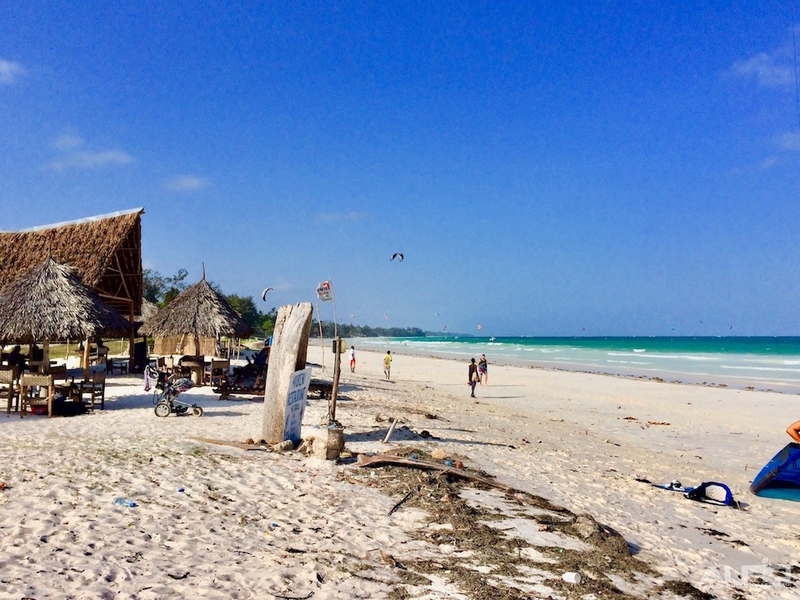 Diani Beach is the gem of the Kenyan coast, with wide unspoilt, uncrowded beaches. 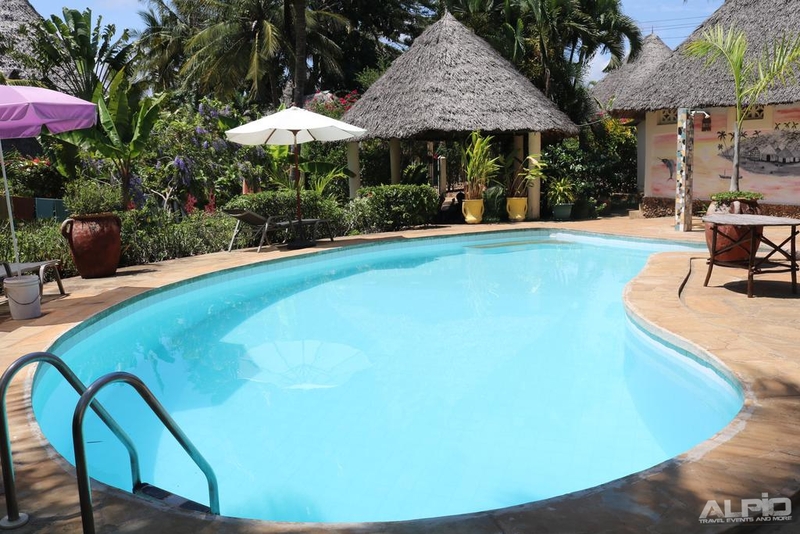 It is not far from Tsavo East National Park and has a direct flight to Masai Mara where you are bound to have the safari of a lifetime. • Consistent side shore winds most of the year. • Very warm water all year round. • Tons of beach space all year round. 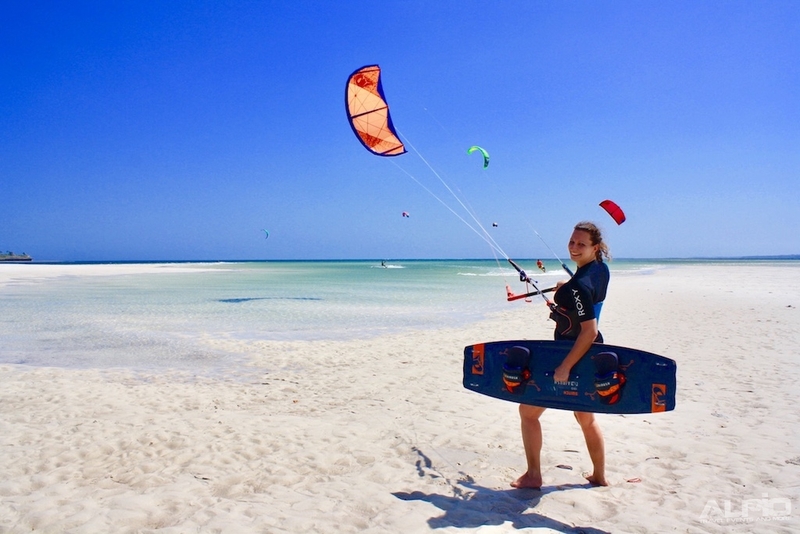 • Choice of flat water or waves all year round. 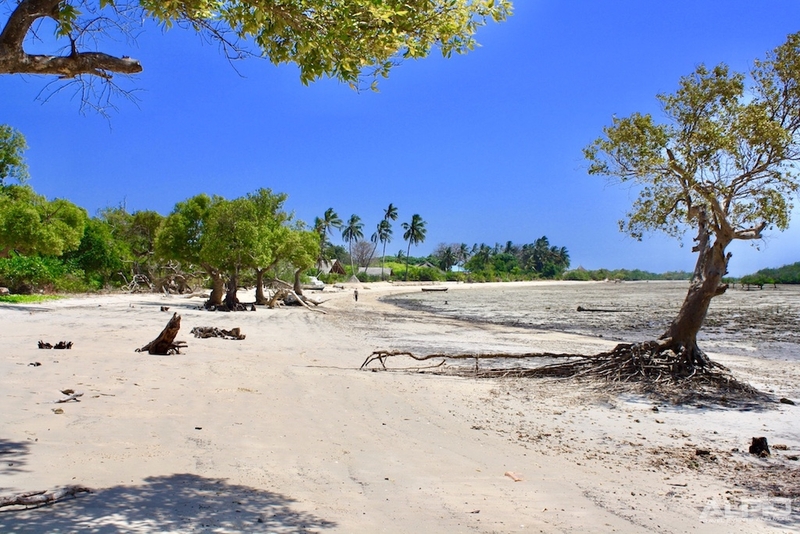 • Waist deep sandy lagoon tide depending. • Powder soft white sandy beach. 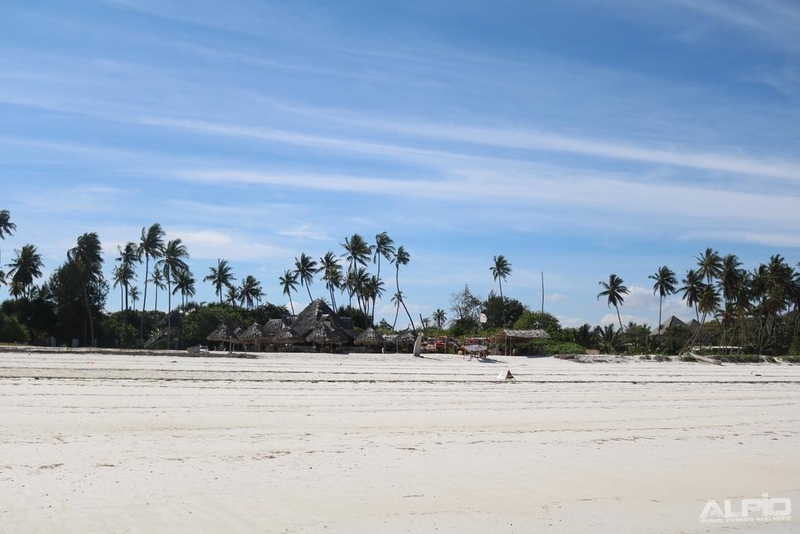 • No congestion and you have almost the whole beach to yourselves. • No sharks or lethal ocean creatures. 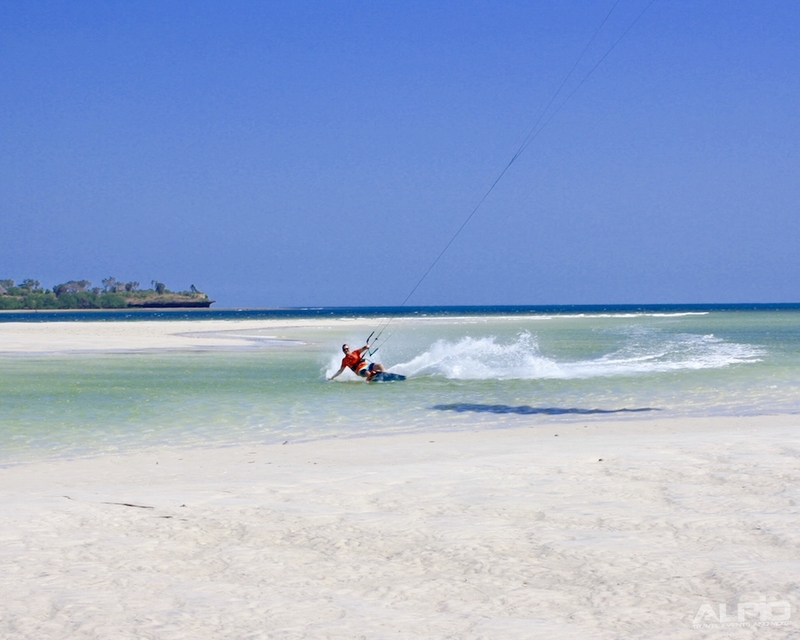 There are 2 wind seasons in Kenya which are perfect for kitesurfing lessons and kite surfing progression. 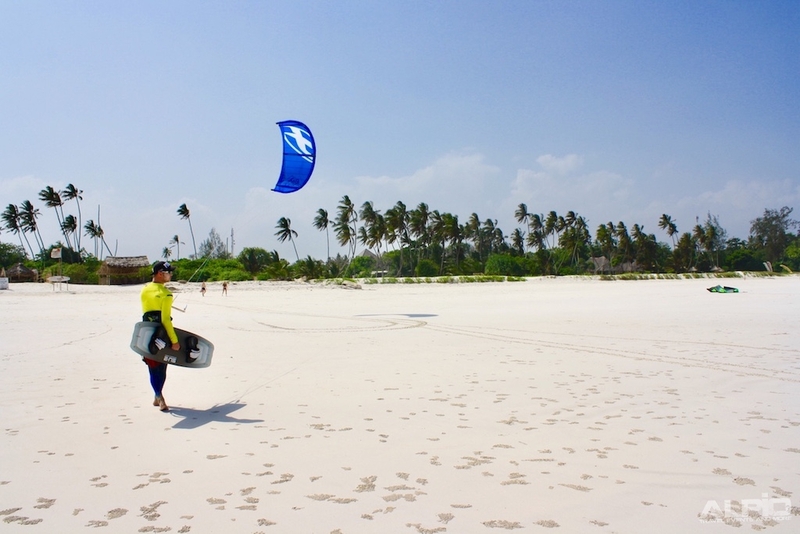 With guaranteed warm tropical temperatures the Indian Ocean allows you to kitesurf in board shorts all year round. 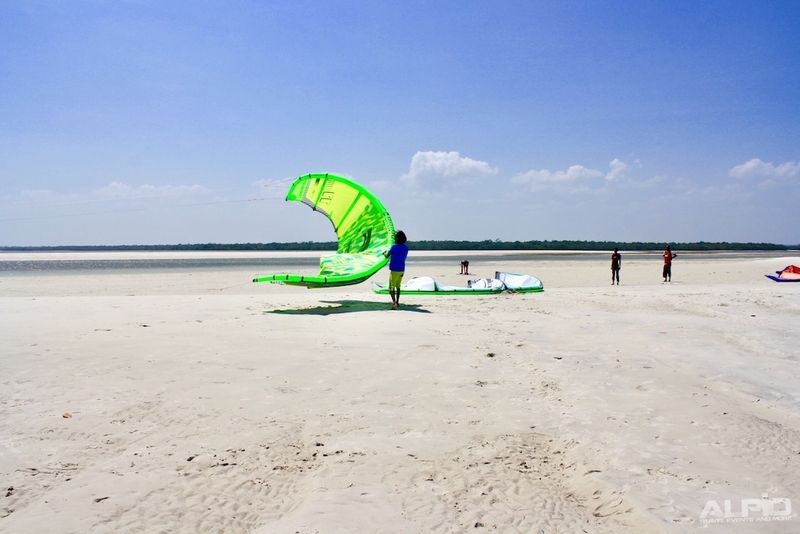 For Beginners and Intermediate riders there is a big shallow area at low tide. 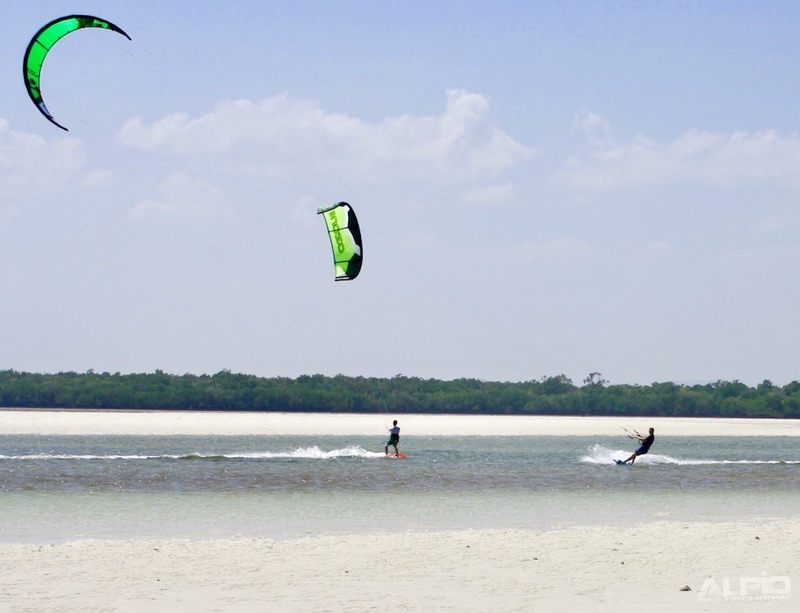 Advanced riders can discover a freeriding paradise – Waves and Kickers on the reef at high tide, flat water and empty lagoons at low tide. In two different seasons the wind either comes side shore from the north or the south. Most reliable and consistent the wind is from December – early March >80% windy days. 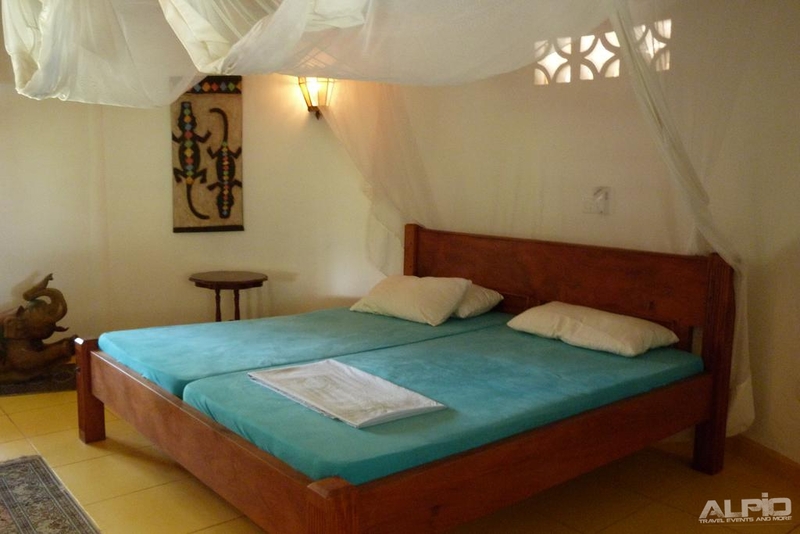 So January and the beginning of Febuary is the perfect period to travel to Diani Beach. 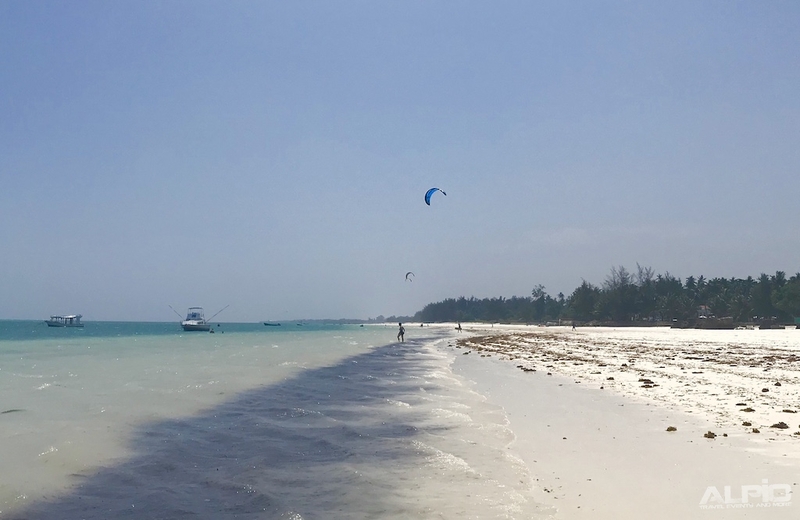 Diani Beach is a very convenient kite surf spot and safe and easy for 10-15km downwinders, with the 3 kite centre bases and kite schools spread out at 5km apart you can have lunch at one base and then kite home. 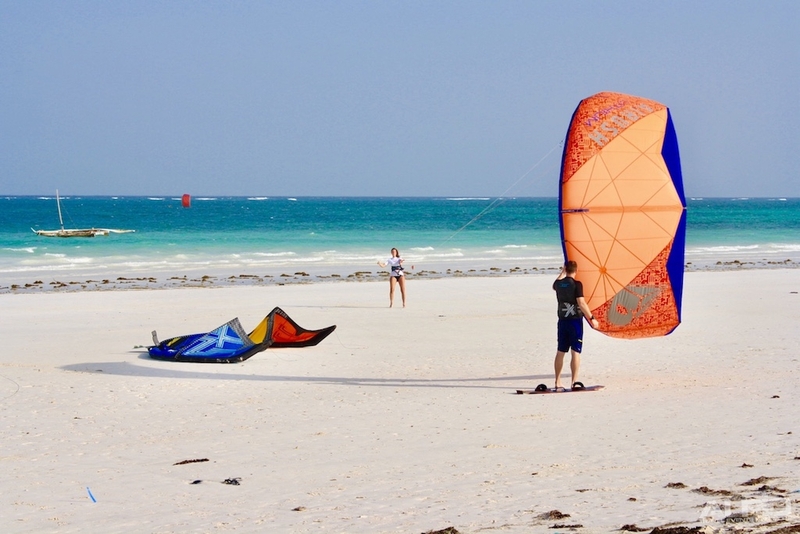 We offer toall level kiters an amazing day excursion to kite off flat-water sand bars in the Funzi archipelago in southern Kenya. 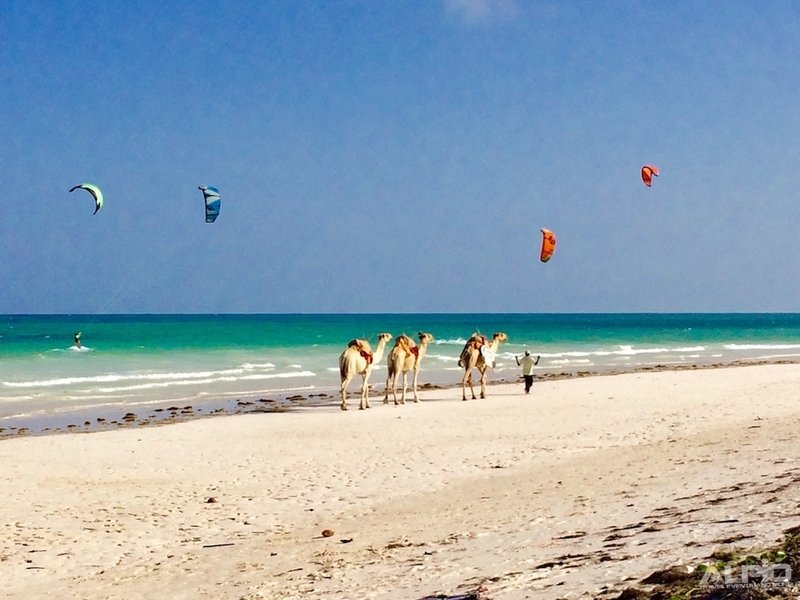 This road trip will take you to a secret kite spot on Kenya's untouched Southern coast. 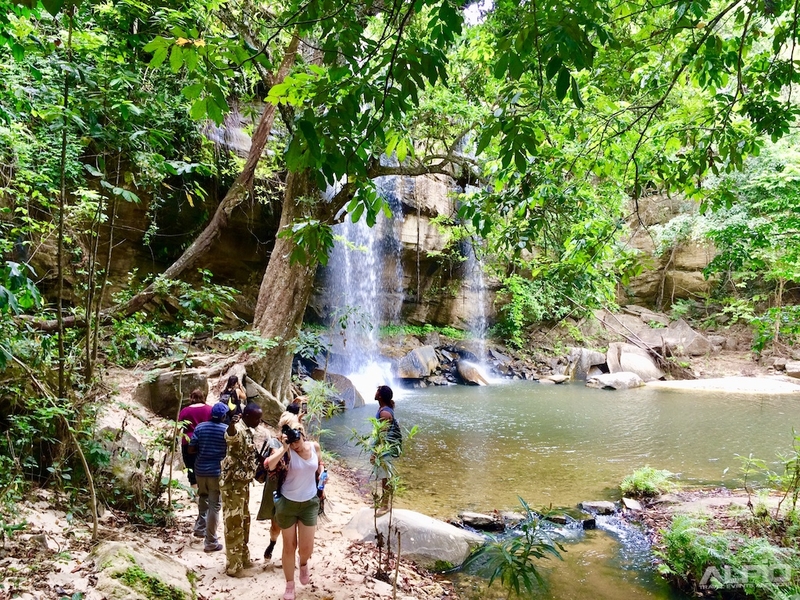 We will drive through coconut plantations and traditional coastal cultural villages to the remote fishing village of Boda. 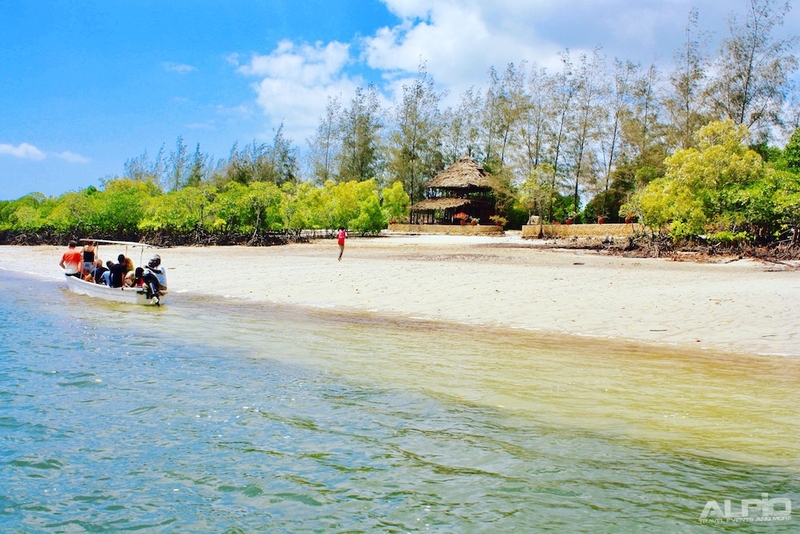 From there a boat takes you through a rare mangrove forest replete with hundreds of bird species to an incredible flat-water spot off Funzi Island. 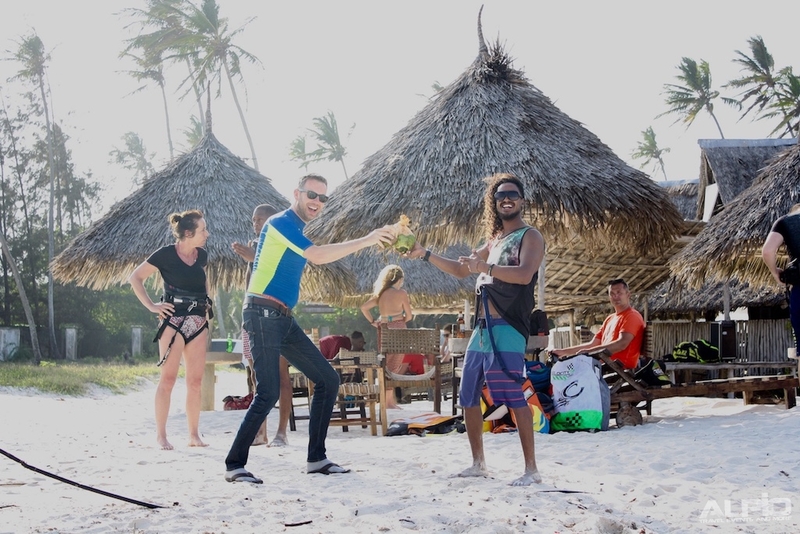 After an epic kite session, your hunger will be satisfied with an immense seafood lunch of mangrove crab, bbq swahili fish accompanied by coconut flavors and spices. 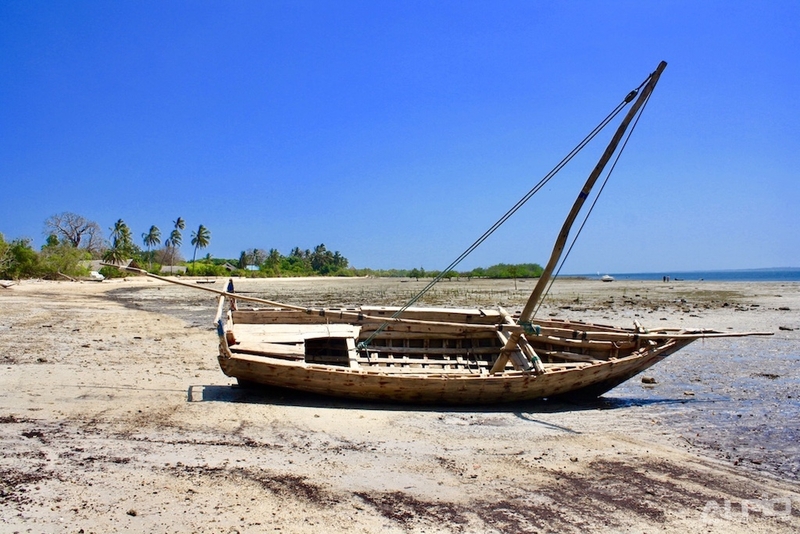 This will be an amazing day out in a secluded Kenyan coast paradise! 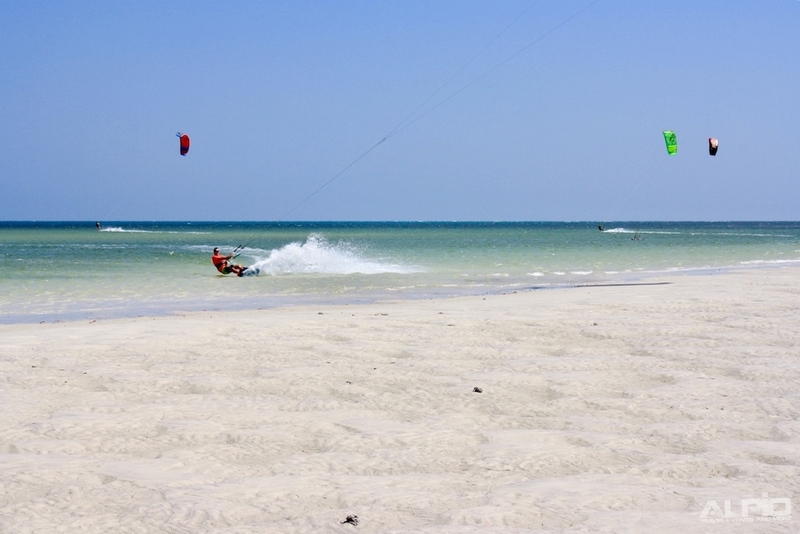 No problem we will bring along one of our best kite instructors or book the best available local. Just let us know what your experience is, what kind of lessons you want and need. 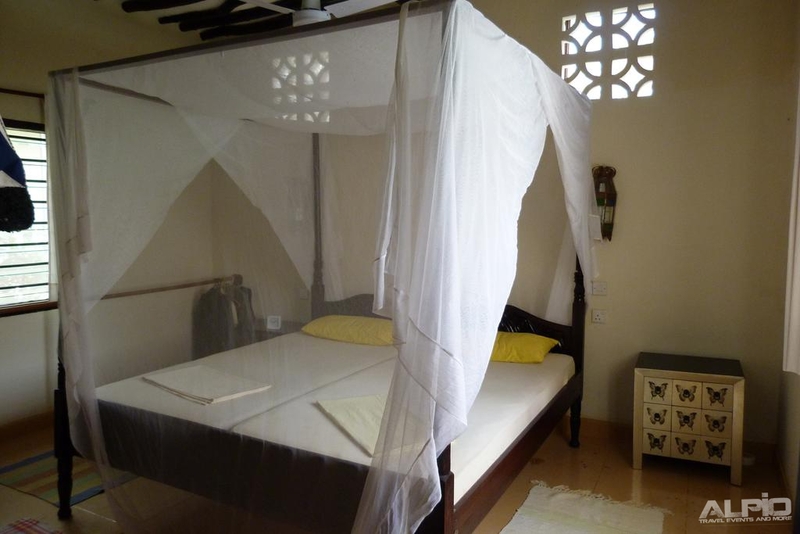 For our kite camp we reserved a beautifull villa which is a dream come true - the perfect spot to forget about your everyday troubles! 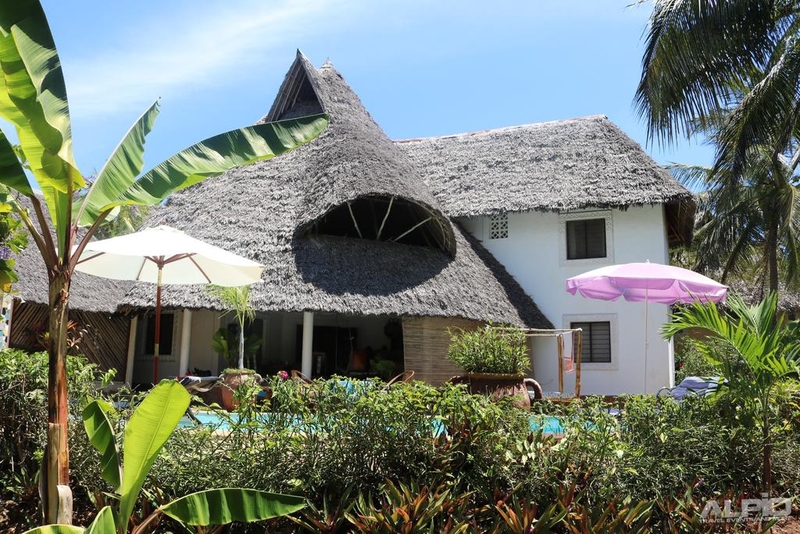 Located 5 minutes by foot from the Indian Ocean, the large villa stretches over an area of over 1300 sq m and contains 5 bedrooms with a king-sized bed each, three spacious bathrooms, a fully equipped kitchen, a large terrace and a beautiful private pool. 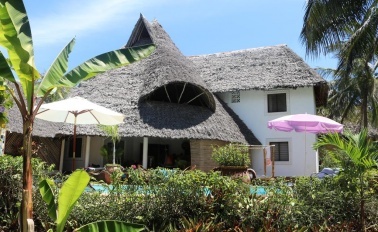 The garden is adorned with lovely tropical flowers and plants. 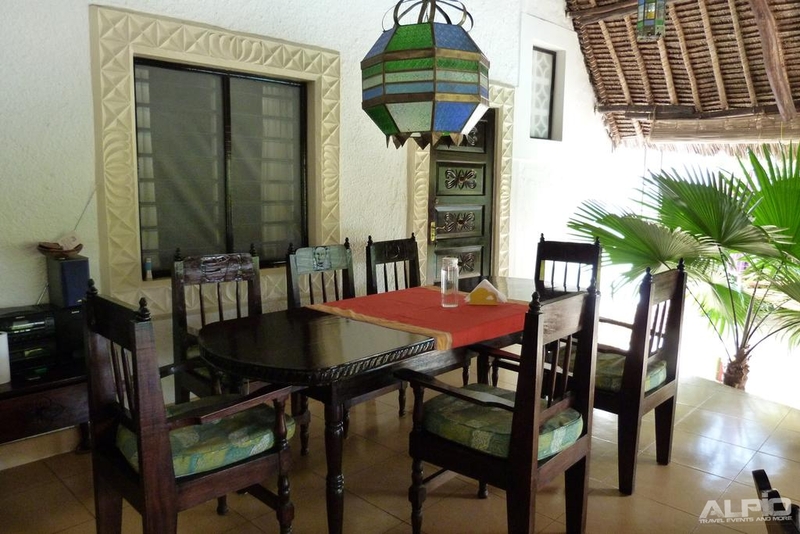 The villa is located in a gated community with 24/7 security. The friendly housekeeper Evaline, who stays in her separate rooms on the property, is always ready to help. 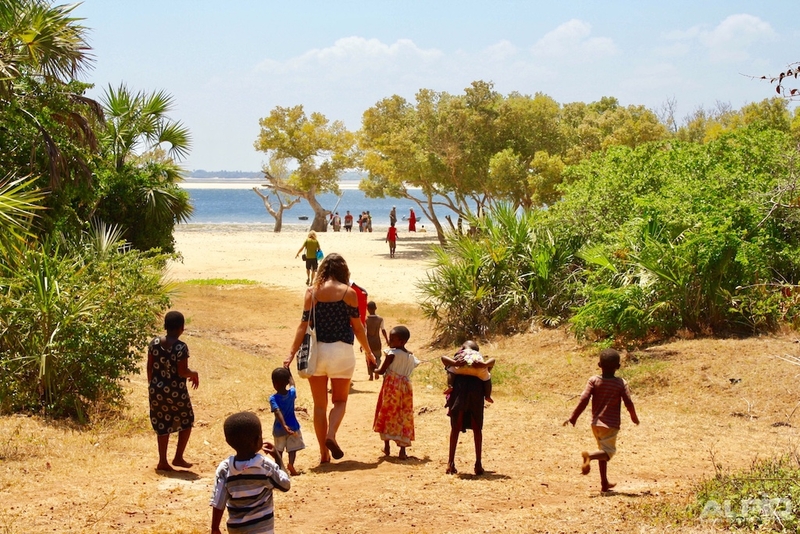 Enjoy the casual, laid-back, barefoot lifestyle of the Kenyan coast and escape into a totally relaxed beach holiday. 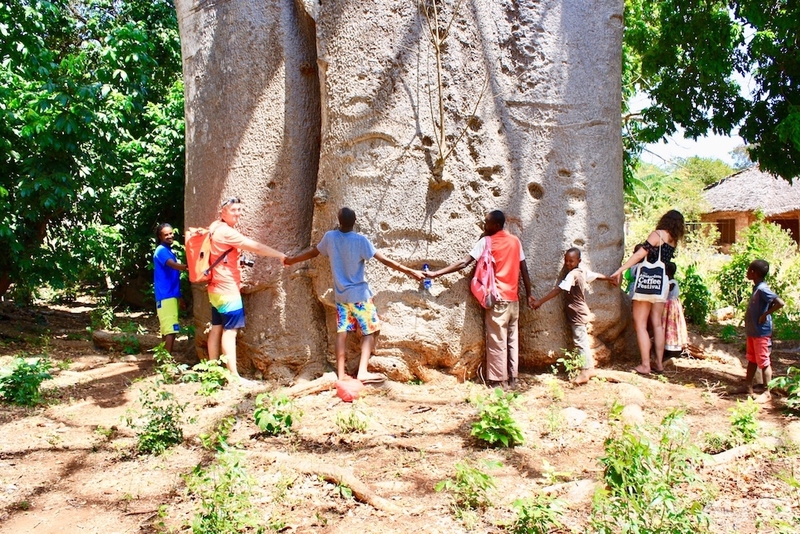 Here you will discover the true meaning of "Hakuna Matata" ...No worries.